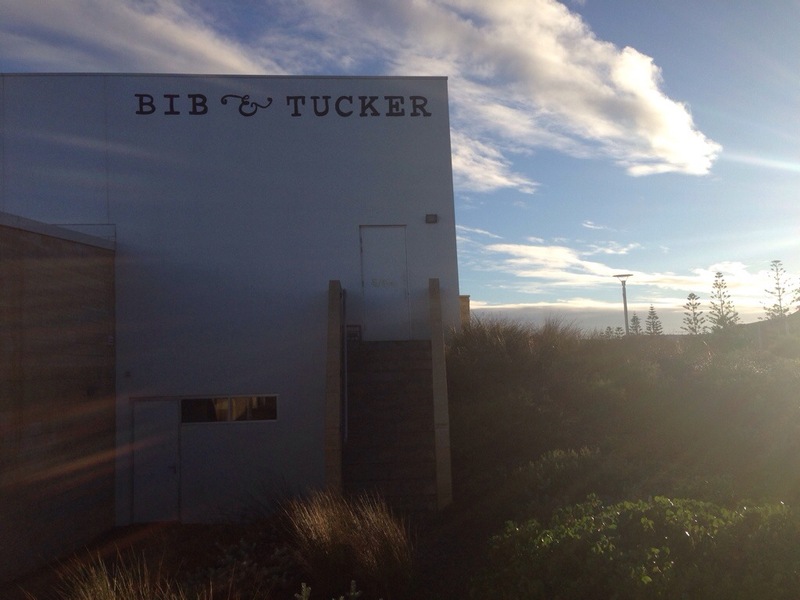 After many lustful looks at their menu and a steady stream of Instagram snaps we finally went to Bib and Tucker for a Sunday brunch. We were in awe of the location, it was so beautiful we ended up standing and looking out at Leighton Beach, taking it all in before we went over and inside the cafe. We finally headed inside at about 7.30, having risen particularly early that day. 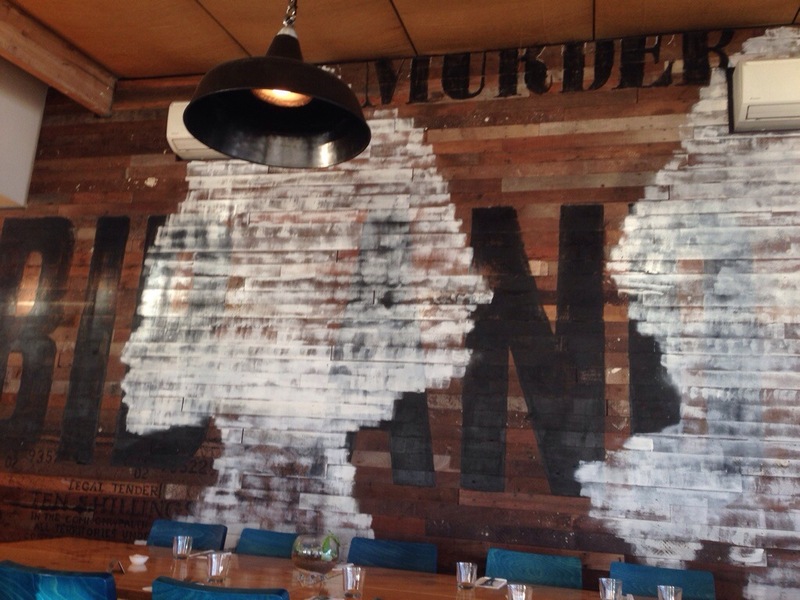 The decor was beachy cool, a bit quirky and artsy, and made the most of the view. Consider yourself warned though, 7.30am is somewhat predictably family with young children eating hour, so if that’s an issue you should definitely swing by later! We were a little taken by the menu and ended up ordering a dish each as well as a third to share between us and a couple of lattes. As you can see the menu is more on the pricey side but there are plenty of delish sounding dishes to choose from. 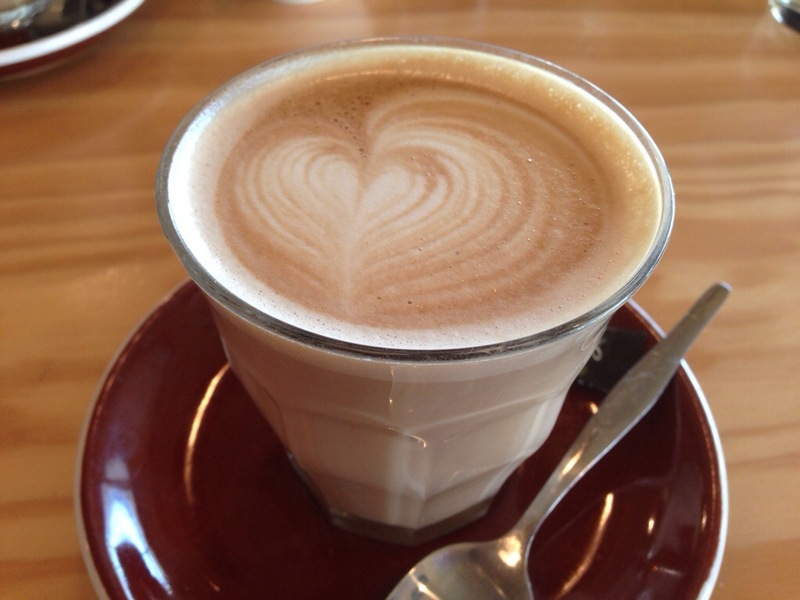 We really enjoyed our coffee, it was creamy with lots of flavour, hot but not too hot and we were quick to order a second. Unfortunately it just didn’t live up to the original, it was too hot, a bit over extracted and had no foam. Such a shame, but not everyone can pass the Second Coffee Test, consistency is really difficult, especially on a busy Sunday morning. 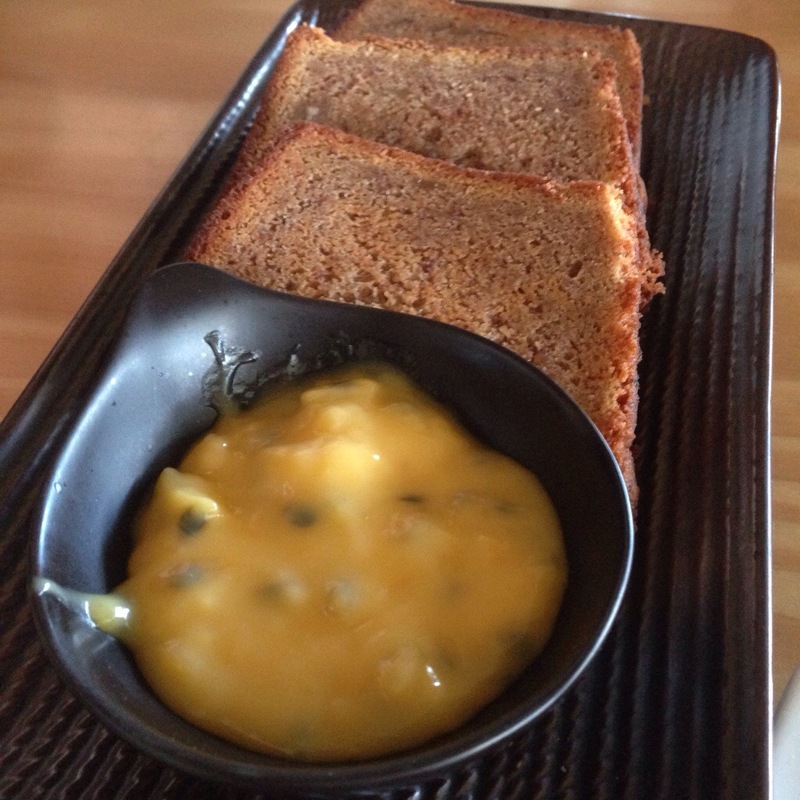 Our sweet delight to share was banana bread and passion fruit curd. The passion fruit was just amazing, tart and sweet and just, wow! We finished the soft banana bread and continued to eat the curd with a spoon we enjoyed it that much. This dish was a real winner, and we had no regrets about over ordering so we could try it. 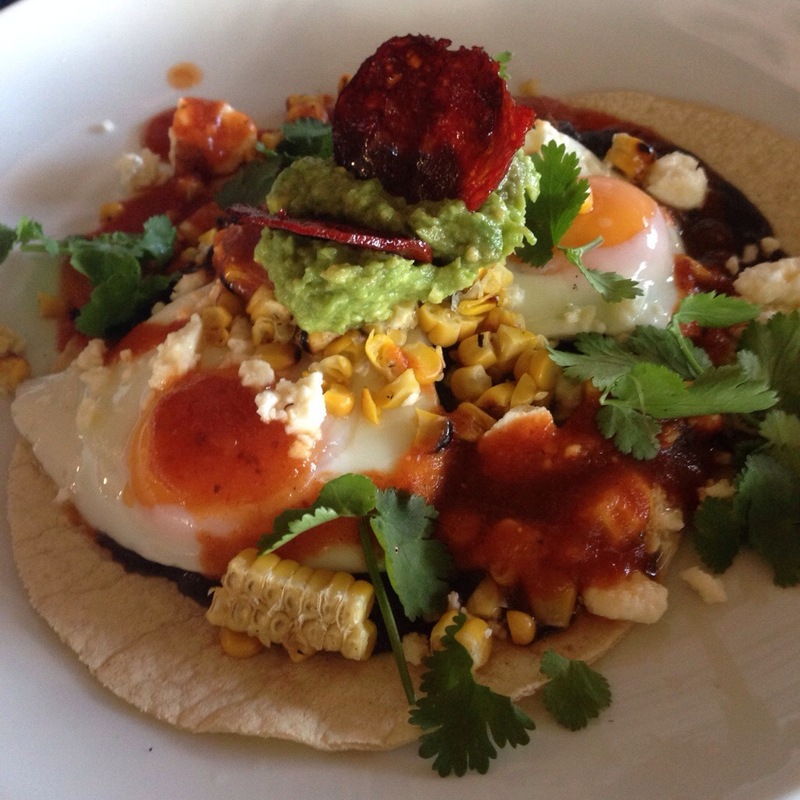 The heuvos rancheros were a good interpretation of the Classic Mexican dish. The combination of flour tortillas, beans, avocado and egg was done excellently and the corn and crispy fried chorizo really added more depth to the flavour. 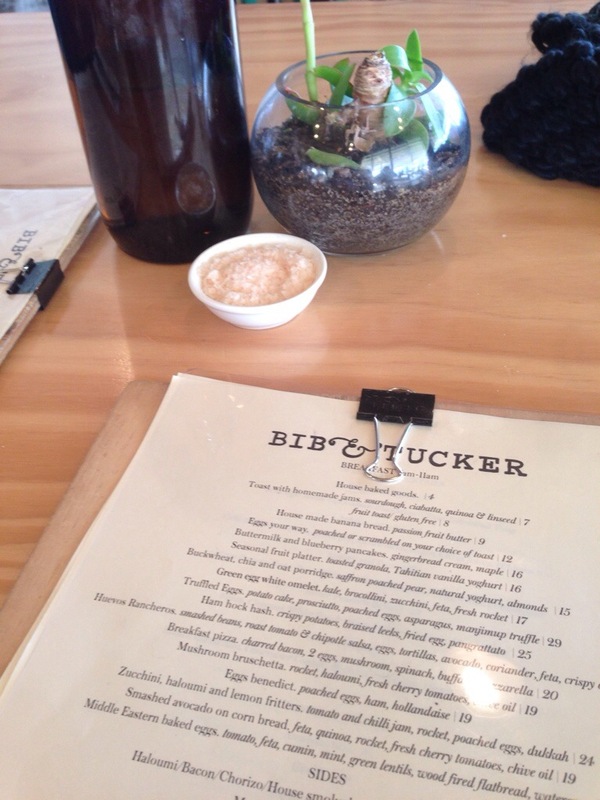 The chipotle sauce and feta crumble were a balance of creamy and that chilli kick. We found the tortillas a little bland and the dish as a whole was expensive but for the quality of the meal we were happy to pay it! 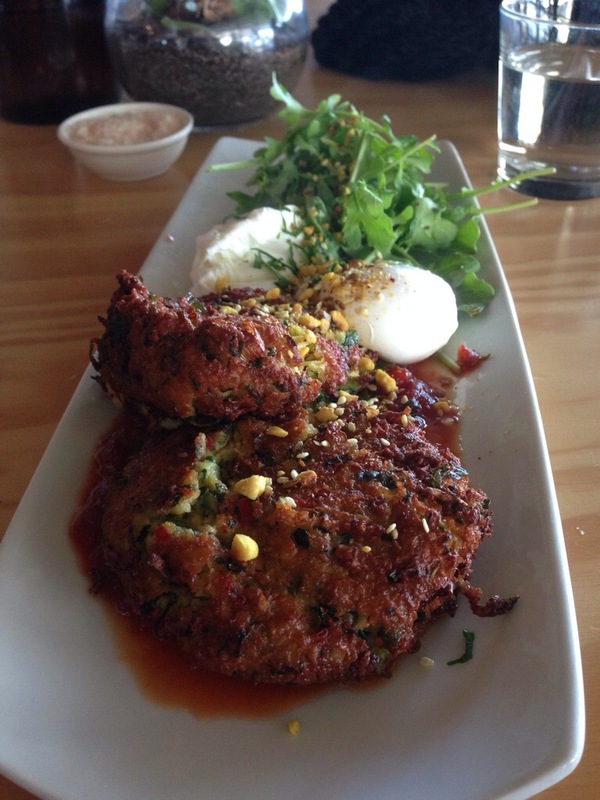 For something a bit different we also sampled the zucchini, lemon and haloumi fritters, they were served with a sweet chilli jam, perfectly poached eggs as well as rocket and dukkah. This was a really unique and lovely mix of flavours, especially the interplay of spice, sweetness and hint of sour lemon. The dish was also very textural, every bit a mix of crispy and soft fritter, gooey jam and the ooze of the egg. This was an excellent vegetarian dish and something we would wholeheartedly order again! 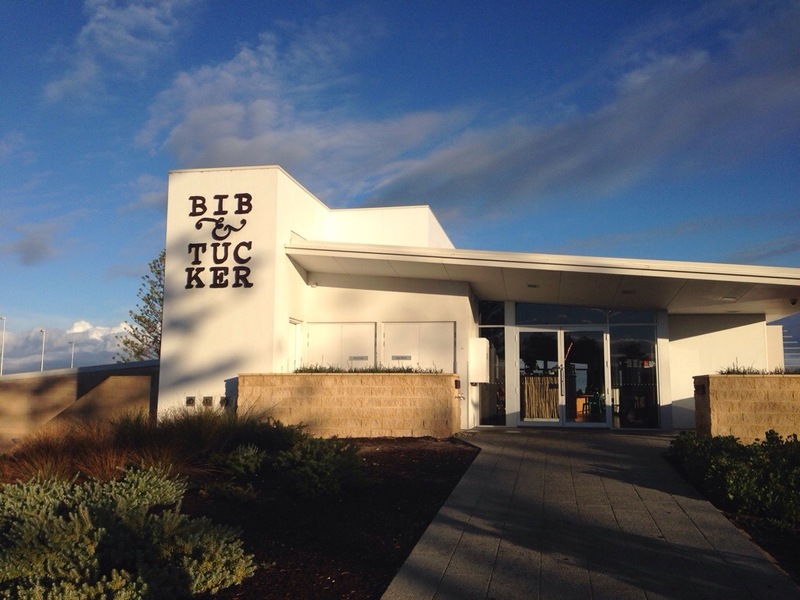 Bib and Tucker serve up absolutely wonderful food in a picturesque location. The cafe itself is big and well run, and though their food is expensive, we consider it worth every penny! It certainly is! The passionfruit curd was stunning!